KeepSolid VPN Unlimited Review 2019 – Is It What You Want? VPN becomes an important tool for Internet users. They need VPN to protect privacy, secure online traffic and bypass restriction. Different VPNs are good at different aspects, so you need to pick the right product to suite your need. Is KeepSolid VPN Unlimited reliable? Is it fast? Is it secure? Get more information in this KeepSolid VPN Unlimited review. 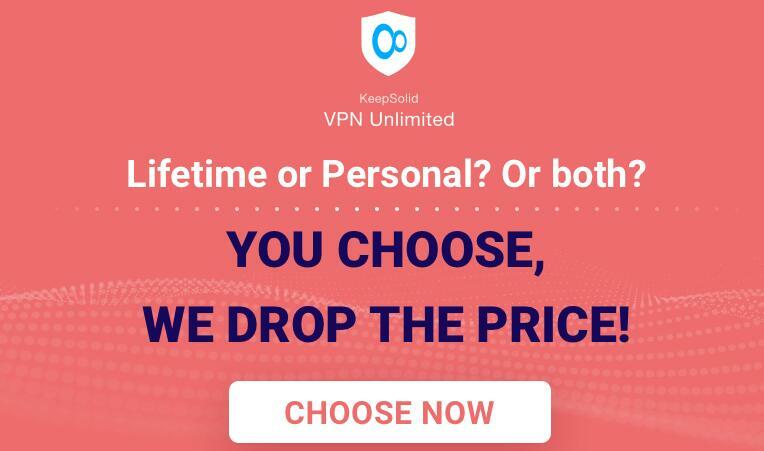 Why Choose KeepSolid VPN Unlimited? KeepSolid VPN Unlimited is a reliable and secure VPN. This provider delivers solid Internet security solution to worldwide users. It has been trusted by a large number of users with a great reputation. This service offers full features that users expect from a VPN. It masks your IP address and hides your privacy from prying eyes. It encrypts your traffic to prevent cyberattack, identity theft and information leak. It spoofs your location and connects you to remote server to enable you to overcome geo-restriction and access online content that are normally inaccessible from your location. It helps you access social networks, media, work tools, and VoIP apps like Skype, WhatsApp, Facebook and Twitter etc. no matter where you are located. When it works, it creates an encrypted “tunnel” between your device and the server you choose, gives you a virtual IP address and channels your online traffic through that “tunnel.” KeepSolid VPN Unlimited also allows P2P traffic and BitTorrent downloads. You can enjoy superfast speed and maintain private when downloading content on your favorite platforms. This VPN is compatible with various systems and allows up to five devices with one account, so you can protect all of your desktop, tablets and mobile phones. It is an affordable VPN and starts at $1.66 USD per month. KeepSolid VPN Unlimited offers flexible plans with friendly prices. There are 1-month, 1-year, 3-year, 5-year and lifetime accounts. The shorter plans are cheaper while longer plans include bigger discount. The 1-month costs $9.99 USD and there is no discount on this plan. The 1-year plan is 50% off and costs $59.99 USD. The 3-year plan is 75% off and costs $99.99 USD. The lifetime account is a time limited offer. You need to pay $199.99 USD at a time for this account. To celebrate its 5th anniversary, it offers 5-year plan which costs $99.99 USD. It is $1.66 USD per month. That is a generous offer. If you only need VPN for a short period of time, monthly plan is okay. If you are a heavy user, you can consider 5-year plan as it includes the best value. If you can’t decide yet, you can try this service first. The provider offers 7-day money back guarantee, so you test the service for 7 days. You can decide to continue to work with this VPN or request a refund within 7 days after the subscription. The provider accepts various kinds of payment methods. You can sign up a plan by using VISA, MasterCard, American Express, JCB, Diner’s Club or UnionPay credit & debit cards. It also allows you to make payment via PayPal, MINT, Amazon Payments, Alipay and Bitcoin. Bitcoin is particularly welcomed by users who prefer to make payment anonymously on the Internet. You also can use gift card from CVS, Dollar General and Subway to purchase a plan. It is another way to make payment privately. Android users can use Google payment and iOS users can use iTunes to finish payment. The payment methods do not affect your VPN plan. Simply select the one you like. To give you the best protection, KeepSolid VPN Unlimited utilizes the latest encryption standard and protocols to secure your connection. It provides military-grade encryption standard and supports IPsec IKEv1, OpenVPN & KeepSolid Wise. You will be highly protected when connecting to the VPN. It supports IPsec IKEv1 on the macOS and iOS platforms, using AES up to 256-bit, Camellia 256-bit, and ChaCha20Poly1305 encryption methods. OpenVPN is the most popular protocol as it offers high performance and data protection. This protocol supports Blowfish 128-bit, AES 128-bit and AES 256-bit encryption. It’s available on Android and Windows platforms. KeepSolid Wise is a special technology developed by KeepSolid team. It uses the TCP 443 and UDP 33434 ports to disguise VPN traffic as HTTPS. That makes it difficult for others to detect or block your VPN connection. It also includes the technology and benefits of OpenVPN. Users who want free access the Internet need this stealth technology to bypass various type of restriction. With solid security features, others can’t crack your connection to steal confidential information even when you use public WiFi hotspot at bar, coffee house or airport. KeepSolid VPN Unlimited offers pretty fast connection with the global servers. Its global network is consisted of 400+ high-speed servers across 70+ locations throughout the world. It offers high-quality connection via secure worldwide servers to allow you to enjoy fast browsing experience while maintaining security. This VPN slightly affects your Internet connection. To give you satisfied browsing experience, the provider allows unlimited bandwidth. It does not limit your connection no matter you are downloading, uploading or watching videos online. As this VPN encrypts your online traffic, your ISP only can see encrypted content. They can’t view your bandwidth or speed. As we know, the ISP will throttle your connection when you try to download big size of file or watch online videos to stop you from affecting other users’ connection. When your connection is encrypted, they won’t throttle your connection knowing what you do and how fast your speed is. This is why you can get faster streaming speed when connecting to a VPN. You will be able stream HD on YouTube and more platforms, play big size of video games and conduct other activities at high speed without buffer. When you use the Internet via the server offered your ISP, your ISP knows who you are and can view everything you do online. What’s worse, they are allowed to sell your browsing histories to the third party without your permission. To help you reclaim your privacy, KeepSolid VPN Unlimited cloaks your real IP address and routes your traffic to its VPN servers. You will leave the IP address offered by the provider on the websites you visit. Others only see this IP address instead of your real one. It also creates a secure “tunnel” between your connected device and one of its secure servers. Others can’t view content in the tunnel without encryption key. They can’t collect your personal information or snoop at your online activities any longer. Besides, the provider has zero traffic log privacy to promise that they do not access your private connection to collect your browsing histories. KeepSolid VPN Unlimited keeps your privacy untouchable. Even the best VPN can have an occasional disconnect, so KeepSolid VPN Unlimited offers kill switch to eliminate any chance snoopers can take to view your online privacy. How does it work? If the kill switch detects disruptions or failures in the VPN connection, it shuts down all your Internet connections. In this case, your real IP address and online sessions won’t be exposed without VPN protection. This feature is great for users who would like to download via P2P or bypass Internet restriction based on location. Business owners, journalists and other activists need this feature as they need reliable privacy protection. If you use it on an Android, find kill switch under app settings. Choose Always-on VPN and Block connections without VPN options. If you use a Mac, simply turn on kill switch under Settings. If you use a Windows, tap app menu and choose settings. Find and enable kill switch option. Can’t watch the hottest TV series on foreign platform? Can’t play your favorite games after moving to a different country? Being strictly censored by your government? Are you looking for a way to access the network without limit? You need KeepSolid VPN Unlimited. There are many restrictions to stop users from using the legal website contents freely. Some popular websites like Google, YouTube and Facebook are blocked in countries with high Internet censorship like China and Turkey. Famous platforms like Pandora and Spotify are only available in their country. Luckily, KeepSolid VPN Unlimited is designed with the special technology to help you get around service-blocking and censorship by disguising your virtual location and traffic. It provides a collection of server locations for you to choose. 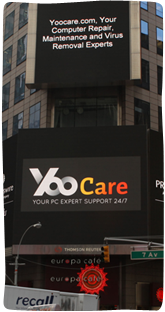 It offers optimized servers for users in mainland China. Servers in Canada, the United States, the United Kingdom, Germany, Singapore and Hong Kong are the best options to achieve fast and stable connection. For example, after you choose a server in the US, your IP address will be switched to the US. From others’ sight, you appear from the US. When you are connected to server in the US, you can escape from censorship issued by government in China, Russia, Turkey and Iran etc. You can use Gmail, watch YouTube videos, listen to Spotify, chat on WhatsApp, share story on Instagram and conduct more activities freely. At the same time, you can access contents that are restricted to the US. For example, only users in the US can access Netflix and Hulu. Due to copyright issues, Netflix blocks VPN access to implement the geo-restriction. This is why you still can’t unblock Netflix when you use a VPN. Many VPNs fail to work Netflix. The good news is KeepSolid VPN Unlimited still can help you unblock Netflix abroad. This provider offers a special KeepSolid Wise mode which works with iOS 9 or later, Android, Windows and Linux devices. It makes VPN traffic appears like an innocent-looking transformed traffic so as to protect your traffic from being detected and throttled. The streaming services won’t refuse your Internet request. During our VPN test, we were able to unblock Netflix, Hulu, Pandora, Spotify and BBC iPlayer etc. in KeepSolid Wise mode. With KeepSolid VPN Unlimited, you will be able to experience a truly open and uncensored Internet. P2P and torrent are very popular. However, people get trouble for P2P and torrent. On one hand, their private information is exposed when downloading via P2P. Snoopers, advertisers and ISPs can track back to you. Advertisers will deliver you annoying ads based on content you browse on torrent site. ISP can send you an email with a warning or fine notice. As P2P and torrent are banned in some countries, users may be fined or face law issue when they use P2P and torrent without hiding their IP addresses. On the other hand, viruses and malicious programs can come along with P2P files. Many users got ransomware and adware for P2P downloading. To download via P2P and torrent safely, you need KeepSolid VPN Unlimited to protect your connection. This provider offers torrent servers and anonymous IP address to prevent snoopers from detecting your real IP address and tracking your downloading habits. It allows legal usage of P2P file sharing on some of their servers. When you need to download via P2P or torrent, you can connect to server in US-California 1, Canada-Ontario, Romania, Luxembourg or France. Besides those servers, you will see P2P mark. As all of the servers are encrypted, others won’t be able to view your downloading content. The firewall comes with VPN app will keep malicious programs away from your device. KeepSolid VPN Unlimited allows you to download privately and safely at great speed. KeepSolid VPN Unlimited works on all major systems and platforms including Windows, Windows Phone, iOS, MacOS and Linux. It can run through a browser extension, and Apple TV. It even has client programs for older operating systems like Windows XP SP3. You surely can install this VPN on new systems like Windows Vista to Windows 10. You can download 32- and 64-bit Linux clients for Debian GNU/Linux 8.0 and Ubuntu 14.04 or newer on their official website. Mobile apps for iOS, Android and Windows phone are pretty popular as users mostly browse on their mobile devices. You also can set up VPN on a Roku, Amazon Fire TV and Android TV device to stream any videos you like. You will need to need to log in to your VPN Unlimited online account and generate an appropriate configuration script. The process is simple. You can follow the guides or contact support for help if you have problem in setting it up. The provider also offers desktop browser extensions for Google Chrome and Mozilla Firefox to give you seamless browsing experience. It is very simple to get started with KeepSolid VPN Unlimited. The provider does not require your name to create an account. You only need to provide a valid email address so that you can receive verification link in an email message after downloading VPN client. Simply follow the wizard to set up your VPN account. There is no complicated configuration to do. Just select the server you need to go ahead. KeepSolid VPN Unlimited offers customizable levels of protection, so you can select the encryption level alone and turn on anti-malware protection, tracking-blocking & ad-blocking. The VPN client is intuitive and you can customize it easily. Though the service is easy to use, the provider offers considerate customer support. There is no live chat option for the support. You may see a button like a chat window at right bottom, but it is not live chat. It only provides support via an online contact form and a direct email address. After you click on the support button, it shows a form. You need to fill the form with your problem and email to receive a solution. We immediately got an email telling that our request had been received and viewed by their support team when we tested the VPN. Later, we got fast respond within 30 minutes with the solution we need. Besides, there are a number of installation guides and FAQ pages on their official website. You can find solution from those useful articles. It would be great if KeepSolid VPN Unlimited provides live chat support. Users can get instant help. KeepSolid VPN Unlimited is a great choice for Internet users because it offers decent performance for a fair price. It utilizes military-grade 256-bit encryption and supports OpenVPN, L2TP/IPSec, IKEv2, KeepSolid Wise and PPTP protocols. You are always protected on public network at restaurants, airports, university campuses, libraries or malls. It protects your privacy with virtual IP address, encrypted “tunnel” and zero-log policy. No matter which plan you choose, it gives you full access to 400+ servers in 70+ locations. The servers give you solid security, superior speed and free access to the Internet. Besides, the providers constantly expand their VPN solution server presence. More server locations will be available to give you the best and most reliable possible VPN connections. KeepSolid VPN Unlimited embraces P2P/torrent, so you download privately. It has proprietary apps which is simple to run. You can choose an account with up to five or ten devices. This service provides instant tech support to help customers fix issue effectively. Do you want free access to all legal web content, unlimited connection speed, and unlimited bandwidth? KeepSolid VPN Unlimited provides what you want. It only costs $1.66 USD per month.